Another example of 'team science' suppression | Watts Up With That? Over the past decade, we have seen many examples of what would be categorized as” team science” when it comes to suppressing ideas that are considered inconvenient or contrary to belief systems in climate science. Over at the blog Bishop Hill, one such example was illustrated today by an academic who describes himself as a statistician, who attracted the attention of “team science” by simply doing a straightforward and honest statistical analysis on ice core data. During the analysis, we noticed many interesting features, especially during the present interglacial, which seems to have a ‘seasonality’. We estimated the seasonality and proceeded to remove it, using a technique I teach in their course, in order to find the underlying trend. Having done this, we noted that not only was there underlying further seasonality and cycles, but that firstly the temperature according to the proxy record was considerably below its maximum and also secondly that the temperature was rapidly decreasing. Next we looked at the carbon dioxide content. The CO2 data was quite sparse, and certainly not enough for a final year student to conduct any form of correlation with the temperature, which followed each other. On researching this correlation, we were surprised to learn that the change in CO2 lags the change in temperature by between 200 and 1000 years. These findings were presented at a small conference at one of the major learned societies. Several months afterwards, the society’s ‘newsletter’ was published. It contained a special section on the conference at which I had spoken, with a brief description of each talk, the work behind it, and with thanks offered to each speaker. I searched for my name – nothing. My presentation was ignored in its entirety. Climate skeptics are often described by the proponents of global warming as being” anti-– science”. Yet, here we have probably the most blatant example of anti-science behavior on display. It is unfortunate though, that this academic has chosen not to identify himself and to speak up to his colleagues about this treatment and behavior. Doing so is the only way to push back against this sort of censorship of science. June 16, 2014 in censorship, Climate ugliness, Paleoclimatology. Apple Censors AGW Skeptic Geologist… Was Al Gore Involved? It is unfortunate though , that this academic has chosen not identify himself…. I hope he learnt a good lesson. In climate science, never let the data get in the way of a good hypothesis. Nice climate data you have there. It would be a shame if something *happened* to it. The discrepancy regarding the CO2 lag in that ice core has been being raised for years – together with the fact that it clearly showed temperatures falling during periods of high atmospheric CO2 levels. It was “answered” then by the speculation that things are different now than they were then – for some unspecified reason. I presume that that “answer” is past it’s sell-by date, given the “hear no evil” approach meted out to this academic. I know in these politically charged times it’s easy to assume censorship, but the omission could have been an incompetent oversight – the scientist should have queried the omission of his presentation. A few years ago, I statistically analyzed ice core data and came to similar conclusions. http:///www.kidswincom.net/climate.pdf. Sorry about that. Try http://www.kidswincom.net/climate.pdf. There are honest mistakes and then there are deliberate errors. In climate “science” there seems to be about twenty deliberate errors for every honest mistake. If, at our universities, climate science did not exist the people doing it would not have the talent or ability to hold a job in any other branch of academia — except, perhaps, administration. Cooking tip it took me fifty years to figure out. To make hot cocoa I had always bought milk and some type of chocolate powder or liquid and mixed them together and then heated them. My great discovery is — after fifty years of doing that?You can buy chocolate milk and just heat that in the microwave. With great interest i will be watching what appears on JONOVA over the next few weeks. Just like the IRS “accidentally” lost all of Lois Lerner’s emails. Riiiiggghhhhtttt…. The significance of a scientific finding can best be judged by hostility of the reception it receives from other scientists. If they welcome you, it is because your work confirms their own. If they are indifferent, it is because your work is not significant. If they are hostile, it is because your work contradicts their own. No names are given. So this story could easily be a fairytale. Excellent study. I started to look at this daily data but you have really gone to town on it and to good effect. Hardly a revelation, the same thing was pointed out in Al Gore’s original scare campaign. The Chinese learned quickly not to speak up against the tactics of Mao’s Cultural Revolution but to praise him and the effort. The same learned behavior goes on today in China with the anniversary of the Tiananmen massacre. 3. the work should be published. This seems a rather weak story. We aren’t told anything that could be verified – eg what is the society, or the conference. But what seemed oddest is that none of the findings seem in the slightest bit controversial. 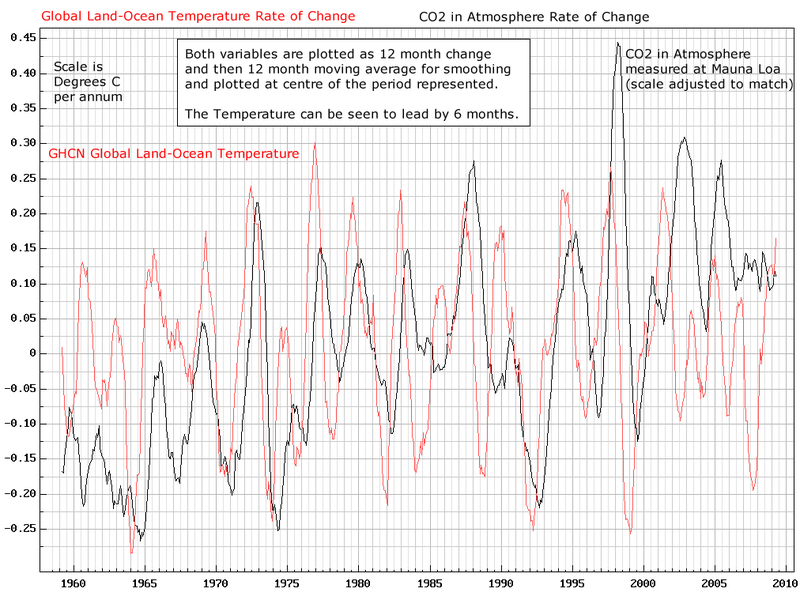 CO2 lagging temperature was noted even in AR3, and has been observed many times since. The downward drift of temperature was noted in Marcott et al, amongst others (if that is the time period involved). I don’t know who he thinks would be trying to suppress him. Good point Nick. Even to 200-1000 range on the lag is old hat now, unless “lone wolf” found this much earlier and it has since been published by him or others. He is talking about a long past incident. I too would like name, date and conference. The story does appeal to everything we want to believe without providing verifiable information. Academia is collapsing of its own weight in any case. Find some better paid work in the real world rather than getting paid like a slave as an adjunct professor, instructor, post-doc, etc. with a year contract renewable annually and no benefits. that you provide in your post at June 16, 2014 at 6:36 am. It provides a report of your analyses of ice core data. I had not seen it before and in my sincere opinion it deserves much, much more dissemination. Perhaps you could divide it into a series of shorter articles (similar to Tisdale’s articles) that you could submit to our host with a view to his considering them for publication on WUWT. You may know that for many years I have been seeking evidence that the observed recent rise in atmospheric CO2 concentration has a mostly anthropogenic or mostly natural cause. Your article is the strongest evidence I have yet seen and it suggests a natural cause of the rise. This analysis is strong evidence that anthropogenic emissions of carbon dioxide have not measurably contributed to accumulation in the atmosphere. The half life of any carbon dioxide in the atmosphere as a gas is short, a matter of days rather than years. It is readily adsorbed by an abundance of condensed moisture in clouds, fog, and dew. It readily reacts with basic materials such as limestone, slate, marble, concrete, and galvanized steel. It is returned to the atmosphere as a gas when moisture droplets evaporate. Much of it will go through many of these cycles before it returns to the ocean or reacts with some material on land. Of course plants consume carbon dioxide, but in a mature forest, they produce as much as they consume. Again, thankyou for the link and I commend others to read it, too. Gee, Nick. The sellers of the AGW Crisis haven’t “…told [us] anything that could be verified”. Does that make their claims “a rather weak story”, as well? I suppose it does! While the information presented at the conference wasn’t anything new or ‘controversial’, it is till information that AGW supporters want to ignore. They know that this data does not support their theory and that their excuses for this data in the past have been particularly lame. They hate to be reminded of just how fragile their money making scheme really is. You may not know who is trying to suppress him, but it is hardly a mystery to those who have been suppressed. Climate skeptics are often described by the proponents of global warming as being” anti–science”. Greenland ice melt may be ‘worth’ suppressing by the status-quo science of whatever persuasion. Man is the only creature that bites the hand that feeds it. They are just being animalistic in nature. They will not go against the body that supplies their funding – the government. The fact that they chose suppression rather than examination / debunking is revealing of their understanding of the issue. The understand that many facts do not support and actually undermine their position. When they make that choice, they are actually conceding the fact while trying to hide it. Denial? The insincerity of those demanding that Lone wolf reveals his name and the other specifics takes away from whatever point they are trying to make. It is well established, both from cliamtegate emails and recent history that the so-called team are ruthless bigots who will harass and seek to damage anyone with the temerity to openly stand up to their dogmatic extremism. Lone Wolf’s story at the very least fits in well with how climate obsessed true believers behave. It is disappointing to see less than sincere behavior by believers posting here. 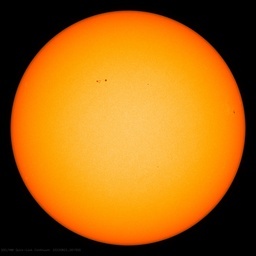 My father, Dr. Aden B. Meinel, founder of many observatories including the McMath Solar Observatory on Kitt Peak, was CENSORED too, in the last years of his life when he began to warn everyone that the sun was going into a Maunder Minimum or worse. Thanks, I’ll try that. Our girls like hot chocolate last thing as a BDT (bed delaying tactic). Thank you for the link. Have you published or tried to publish the work? I second rhchardscourtney’s suggestion that you break it into parts and post it here. Yes, I found that a bit self-contradictory too. To make hot cocoa I had always bought milk and some type of chocolate powder or liquid and mixed them together and then heated them. My great discovery is — after fifty years of doing that? You can buy chocolate milk and just heat that in the microwave. I’d often wondered why I could only drink a small bottle of ‘bought chocolate milk’ before feeling very unsatisfied, and sometimes slightly nauseated, but could easily down a couple of good cold freshly made milkshakes. (Yes, they are still good in the more recent ‘pasteurized’ times). ….has undergone many long-term dietary studies under defined regulatory conditions en route to its current global regulatory status. While some indicate that carrageenan safely passes through rat GI tracts without adverse effect when it is a dietary ingredient,…other animal dietary studies have observed colitis-like disease and tumor promotion…. In the late 2000s, some scientists raised concerns about whether the amount of “degraded carrageenan” (poligeenan) in food-grade carrageenan may lead to health problems, leading to a debate in the research literature….. It is yet to be determined whether such observations are pertinent to dietary safety considerations…. Listed in foods as E 407. It is in almost all packaged flavoured milk/dairy and some soy products. Sometimes it is listed as a ‘natural stabilizer’. There are some claims online that carrageenan causes nausea and bloating. I’d agree. I’m not too worried about the health aspects of it. I just find now I never bother to buy the packaged milk drinks any more: I realized I don’t enjoy them, and I suspect I have found the reason. My recipe? (Don’t use “Chocolate Milk Drink” powders, they are likely to have it in there as a thickener). Two (yep) teaspoons of cocoa powder, 1.5 teaspoons of sugar, 1 teaspoon of milo – a splash of hot water, stir then throw in two ice cubes and keep mixing (mixes smoooooth, I don’t know why!) Then top up with hot or cold milk as required. When you have finished drinking it, make a second one, and drink that too. Very similar to the shenanigans by the editors and reviewers at AAAS and AGU these days. After all AGU expunged the word Geophysical and derivatives from its hallowed (now hollow) by-laws. And then one should not be surprised because both AAAS and AGU are political instruments of the U.S. President and D.C. culture-think. Please try not to press your question because that will only encourage them to debate the mysteries of Bovril and Marmite. And then the Scots may join in to extol Irn Bru. Followed by …. Milo: Very popular in Oz, and much nicer than vegemite. Milo /ˈmaɪloʊ/ is a chocolate and malt powder which is mixed with hot or cold water or milk to produce a beverage popular in many parts of the world. Produced by Nestlé, Milo was originally developed by Thomas Mayne in Sydney, Australia in 1934. " It is marketed and sold in many countries around the world. My father… was CENSORED too… All the major publications including Scientific American and Nature refused his articles about this. He was shocked. He couldn’t believe the malice they showed. Global warming STOPPED, 17+ years ago. [We cannot call it a “pause”, unless it resumes.] No computer climate model was able to predict that event. They were all wrong. Further, it is a scientific fact that the climate Null Hypothesis has never been falsified. That means that the climate parameters being observed now [temperatures, extreme weather events, etc. ], have ALL been exceeded in the past — when CO2 [“carbon”] was lower. Current global temperatures have been exceeded in the past by a large degree. Therefore, nothing currently being observed is either unusual, or unprecedented. The fact is that we are currently living in a “Goldilocks” climate: not too hot, not too cold, but just right. There is no evidence that global temperatures are rising, as was incessantly predicted for many years — until it didn’t happen. Global warming has stopped. That is a fact that even NASA/GISS acknowledges. Next, to put the “carbon” scare into perspective: CO2 has increased from about 3 parts in 10,000, to only 4 parts in 10,000 — over a century and a half. The recent rise in global temperatures, beginning around 1980 and ending around 1997, was only temporarily coincidental with the continuing, steady rise in CO2 — and the only verifiable correlation shows that ∆CO2 is CAUSED by ∆T; not vice-versa. Effect cannot precede cause, therefore CO2 is not the cause of any measurable global warming. CO2 is a very tiny trace gas, currently just 0.000397 of the atmosphere, but it is essential to all life on earth. At current and projected concentrations, more CO2 is better. There is no scientific evidence proving that CO2 is anything but a completely harmless trace gas, which is very beneficial to the biosphere. CO2 has been up to 20X higher in the past, when life on earth flourished. The current rise is of no concern. Certainly, some of the rise is due to human activity. However, if CO2 was the cause of any measurable global warming, then the recent large percentage rise would have forced temperatures up sharply. But as we know, global T stopped rising many years ago. Finally, the unspoken agenda is to pass a huge new carbon tax. That is the motive behind the “carbon” scare. As if hard-bitten taxpayers are not paying enough already. The ScAm moderator deleted that comment, specifically for “name calling”. But where was there any name-calling? I view ScAm as simply a propaganda organ. It is owned and run by German greens, and they allow no contrary opinion. Very much like the Daily Worker. I take this to mean you have insufficient experience feeding many common animals like dogs, cats, hamsters, gerbils. Chickens would be pecking the hand. Does it only count when the hand is actively trying to feed the creature? You could try holding a chunk of raw meat while you approach a shark, or alligator or crocodile, or a furry cuddly possum. Give a dead mouse to a viper. Offering a cricket to a tarantula is also interesting, although technically that wouldn’t be biting. I guess you have never heard the cliche. It does not refer to the actual action of feeding, but of helping. I have not tried to feed sharks and alligators – perhaps that is why I am not known as lefty. I just read fhhaney’s link with joy and complete comprehension! Its not only an amazing demonstration of scientific inquiry and dedication, it’s written in terms that anyone can understand and is thus freaking brilliant! This needs publication. And spreading! And liking! And other such modes of transfer! I’m secptical about this. This is not new, thus not Earth shattering. Why would this be suppressed? Why was he “surprised to learn”? Maybe someone can help me get a better picture on this dubious story. This post is yet another example (must be millions by now) of the climate alarmists using underhanded and immoral tactics rather than try to debunk any analysis that goes against their religion. What is weird is that this is old news to many who have followed the climate debate from the beginning. We know that warming comes first and then a rise in CO2 and that CO2 has been has been 10 to 20 times higher in the past than it is now. The reason is very clear and the mechanism is known. Seems that a warmer ocean gives off more CO2 due to decreased solubility (1), and more warmth also gives rise to more vegetation growth which gives off CO2 as part of its nature: facts that argue well for having more atmospheric CO2 because the world warms. Now the “scientists” could try to debunk these things or they could do their best to ignore or otherwise conflate them with other issues. I think it is telling that they went for hiding the issue. Any water soluble gas becomes more soluble as temperature decreases because, in and of themselves, gas molecules have little affinity for each other — after all, that is why they are gases. When dissolved in water, CO2 forms weak bonds with the water molecules. The lower the temperature, the stronger the bonds, the greater the amount of CO2 that can be dissolved. Tales such as this will become ever more common as the Cause unwinds. The petty authoritarianism, arrogant deletion of comments and inquiries that countered the belief and the vile name calling that make up the academic wing of the Cult of Calamitous Climate, starring the magic gas, have left many abused and shell shocked citizens. Toward the end, as public demands for retribution grow, the henchmen will be citing examples of their own “scepticism” and blaming their colleges for “making them” behave unethically. Milo tastes like malt balls which is a defilement of chocolate. Give me chocolate or give me death. By the way, how is the newsletter’s decision to not thank the presenter and his students in any way encouraging young scholars to decide on a science career???? I’ve got some great potential scientists coming your way (students who would rather find some amazing substance in a lab than fritter away the afternoon engaging in mindless social blathering). It rightly rankles me red feathers to find out a “learned society’s” newsletter on the conference would do such a thing. And don’t mix malt with chocolate. Ever. I haven’t studied this in detail but one question which jumps out fairly early is: how do you infer a 305-year cycle from CO2 flask data going back to just 1958 (your presentation pages 5-7)? Chocolate and malt–a marriage made in Heaven! Almost the equal of a good BLT. You don’t need an entire cycle of a wave or other curve to determine its mathematical characteristics. The orbits of the planets can be inferred from observing small sections of their paths around the sun, for example. I wonder if it’s all a joke or what: of course actual temperature has been surpassed many times in the past, but guess what? In the past CO2 followed temperature, and the CO2/temperature ratio was lower than today, meaning that at that time natural causes raised the temperature (and CO2 as a consequence), now the temperature increased is due by higher CO2 (higher than the past CO2 concentration at the same temperature), and the CO2 temperature ratio is obviously higher than during past times. Recap: past hot climate–>induced high CO2 actual high CO2—>induces hot climate. The first part has much supporting evidence. But you assume too much when you say that high CO2 induces a hot climate. On time scales from years out to hundreds of millennia, all available evidence shows that ∆T causes ∆CO2. There is no evidence for the reverse. This anonymous person should publish the work that made everyone made so that the rest of the skeptic community can benefit from it. Without that step, it seems worthless (and hard to believe without evidence) to gripe about being left out. mi·lo: n., An early-growing, usually drought-resistant grain sorghum, especially Sorghum bicolor, resembling millet. Thus spake Free Online Dictionary. I see now that my thoughts continue to lead me in the right direction, which is the reason why I have continued on this path for these last 6 years. I do truly appreciate the teaching that I receive here. The ice core data can never achieve the resolution that the real time data of co2 changes in or out of the atmosphere is now showing us. The Mauna Loa and global data for co2 are showing a steady yearly rise, which keeps in pace with the rise of global temps in the Modern Warm Period. So co2 gradually increases on a yearly basis during a warming period, but the co2 in the ice core data is then too diffuse to show that level of detail. The year 1977 is the start of an increased rate of growth. That is also right at the beginning of the warming period, 1976/77. Twenty three of the last 37 years since 1977 have had a smaller increase in co2 than in 1977. Yet the volume of human emitted co2 per year has increased by a large factor since 1977, while land use changes since 1977 are also exponentially larger. If we were truly 100% responsible for the rise in atmospheric co2, then the yearly rate of increase should currently be in the range of 3 or 5 ppm/year. The highest recorded increases of 2.84/global and 2.93/ML were during the peak of the 1998 El Nino. The second highest rate is at the peak in 1988. Without the warming from 1976/77, the co2 content could be around 360 ppm or less. You called taxpayers “hardbitten”. That is a serious offense under UN rules, so SciAm felt obligated to remove the offending remark. Back in the 1990s shortly while I still considered AGW a reasonable hypothesis I was looking at a plot of the Vostok ice core data for CO2 and temperature (as a function of O18) and noticed that the latter seemed to visually lag the former. Using a t-square, ruler and right triangle, I concluded that there seemed to be a lag of several centuries. I inquired about this on a climate site (I forget which one) and was informed that yes, the temperature began to ascend before CO2, BUT then CO2 took over. That seemed circular and opened up the issue of what STOPPED CO2 from turning the planet into Venus, especially since geological data indicated that CO2 had reached much higher levels in the past. The present levels are very near the lowest in the Phanerozoic. Inquiring about that problem resulted in being banned – apparently for asking awkward questions. There is no evidence to support the idea that anything about the current climate is remarkable other than being remarkably cold, and near the lower boundary for primary plant productivity. Over the Phanerozoic there is no strong correlation between temperature and CO2. There does appear to be a slight – repeat “slight” – correlation between extinction events and declines of atmospheric CO2, but again, the apparent sequencing suggests that the extinction likely caused the change in CO2 and not vice versa. So it was a story from the times when this information was being discovered. That makes it controversial indeed. And you’re right. But on the other hand the author said he wanted to remain anonymous and so knowing the society and especially the conference would identify the individual. There are many examples of suppression from the past. Climategate was particularly damning in that regard. Most people will claim that new evidence will change their scientific opinion but I think reality is very far from that claim for some and it takes more than new evidence. It takes an ability to let go and not everyone can do that. Bill! God no! Here is what you mix with chocolate: chocolate! that you provide in your post at June 16, 2014 at 6:36 am. […] I commend others to read it, too. I agree. Fred H Haynie worked for as an environmental scientist for the EPA before retirement. In addition to the content, he did a nice job with his presentation. I agree. Outstanding work. Thank you. The use of microwave ovens proves not that you’ve found a simpler way to do something, but rather, that you’ve given up. It’s like religion. Only those believing and supporting the political decided UNFCCC, with one or more political agendas attached, are qualified to have an opinion? Jimbo you are forgetting that this happened several years ago. By my estimation probably 5 – 10 years ago. Certainly it is nothing new NOW but back then it was earth shaking and would have been a bad dent in the foundation of so called climate science of the time. Now this is a well known thing that the skeptics regularly make a point of mentioning so yes now it is old hat. But 5 – 10 years ago it wasn’t. I believe neither climatologists or statisticians, as both of them are clueless about processing a signal over time. Time has a causal relationship with the signal (can’t go backwards), and so it’s not just dumb two dimensional statistical regression. It’s harder than that. Signal processing is also a bandpass filter that limits what we can figure out at low and high frequencies because we don’t have an infinite series of infinitely small sample periods. Nyquist criteria applies on both sides of the band. One of the above links shows a mean-square analysis that clearly shows a phase shift. For gods sake just use a zero phase filter! At this point, without studying the data and the math in horrid detail, I’m not sure I even believe the 1000 year time lag in CO2. How much was processing phase delay due to running averages and other such nonsense? If you don’t understand the above signal processing terms you aren’t qualified to do time-series analysis of any data whatsoever. This applies to both statisticians and every climatology paper I’ve ever read. Your article is the strongest evidence I have yet seen and it suggests a natural cause of the rise. But the long term CO2 and d13C changes go in opposite direction compared to the short term variations: the oceans are the main pre-industrial cause of an increase of CO2 – without much change in d13C over a glacial-interglacial transition. You are looking at the rate of change, which is highly variable over a 2-3 years period. The cause is the influence of temperature and drought mainly on tropical vegetation. <i. "The early Holocene was generally warmer than the 20th century but the period of maximum warmth depends on the region considered." F. H. Haynie’s observations about the widening variation in depletion index with latitude are very compelling. There aren’t many coal plant inside the Arctic circle. Thankyou for your post at June 17, 2014 at 12:04 am which comments on my post at June 16, 2014 at 7:35 am. Balance is important when evidence is not conclusive. Again, thankyou. This is a good example of the problem that faces us all. Much of the conventional science strongly supports the sceptical case. Even the IPCC supports the sceptics in some areas, for example it has repeatedly stated that there is no evidence to link global warming with increases of extreme weather. The data from the very organisations that single-mindedly push AGW (e.g. NASA and the Met Office) clearly shows that there has been no global warming in this century. And yet Obama can state, as if it were a matter of fact, that global warming/climate change is accelerating. So here’s the problem: many responsible scientists and organisations simply suppress and ignore anything that is even remotely inconvenient for their cause. This case appears to be a typical example. He wasn’t sacked or attacked, he was simply ignored. If only the alarmism is reported and all the inconvenient stuff is ignored, then people in general will end up with a very distorted view of the truth. President Obama being a perfect example. We dont have a date from which to go on for the writer. Either you can think the whole thing is essentially made up or its from a time when the finding was controversial. I doubt he made it all up, myself. Catastrophic anthropogenic global warming is a cliché. (The “é” is Ctrl-Shift-U+e9 on a sensible computer.) They deserve periodic examination for truthfulness and relevance. Animals are far closer to humans than humans want to admit. What makes humans different is when the helping hand is bitten we can decide to not retaliate, and try again. The cliché is caca. Humans are the only species that when the helping hand is bitten, they reach out with the other hand. @kadaka – Try alt 130 (on the key pad) é – But I am lazy about that. Excuse me. And yes I have taken care of sick, hurt, wounded, etc. animals. Quite frequently. And yes they have lashed out in pain. Sometimes in fear. But never in anger. (which is what the cliché was referring to). Perhaps you meant man is more like animals. Perhaps not. Regardless, pick your nits elsewhere. My statement stands and all you have done is bring up non sequiturs. Thanks for the input. I noted other comments which you made that indicate a similar line of thought. I did not think of the impact of warming on the biosphere. How does an El Nino increase the rate of co2 growth? Is that due to extra decomposition of plants from the warming? Pamela–I’ll go with the red wine, too–not so sure about accompanying it with chocolate. An El Niño has two effects, mainly in the tropics: an increase in temperature over the tropics and a change in rain patterns over several parts of the tropical rainforests. The net result is that some plants get over their temperature optimum, and decrease/cease growing if there is additional drought, while plant decay still is going strong or even increases. Sorry to be such a skeptic, but if Lone Wolf’s troubles were a made-up story I would not be surprised. Of course if it were true I would not be surprised either, but there is no reason to believe it’s not made up. In 1999 I took my wife to the tasting room at Silverado Vineyards in Napa Valley. There, the hostess gave her a taste of dark chocolate with the Reserve Merlot. The reaction was straight from the diner scene in “When Harry Met Sally”. The best part though was the hostess’ reaction: Yeah, we get that a lot! Guys! Serve your lady dark chocolate with a good red wine. You’ll both like the result. So you insinuate they were too stupid to use a centered average yet you are too lazy to find evidence for your insinuation. So you’re an armchair smear artist. I noticed that Mt Pinatubo appears to affect co2 ppm in the year, 1992. It is interesting to note the difference between ML at 0.48 ppm vs global at 0.67 ppm for that year. What made me start into this line of thought is the puzzle of why the yearly rate of co2 has not continued to rise with the greater output from mankind coupled with large land use changes. The year 1979 hits 2.14 ppm, which is a new high after 1977 at 1.92 ppm. Since that time approximately 2/3rds of the years after the 70s see a lower yearly increase in co2/ppm. It is as if the atmosphere is selectively taking in only so much co2 despite the increase in anthro emitted co2. Why didn’t the rate of growth continue to climb, especially after the high of 1998, 2.84 ppm global, which has been followed by the hottest decade+ in recent times? So where’s the keypad on a laptop? Never mind, doesn’t work. Haven’t you modernized to UTF-8 encoding? It actually fell flat on its face, but that is a nice last-gasp example of “biting the hand”. @kadaka – Look for the purple numbers on the keys on the right side of the qwerty keyboard. Then add the key FN to the sequence I gave you. Most laptops have a separate key pad in any event. Most tablets do not. As I said, your inability to understand an old cliché is NMP. It did not fall anywhere. You just whiffed it. It is old news that for hundreds of thousands of years, and until industrialization started significantly increasing CO2 level, CO2 on-average lagged temperature, typically by several hundred years. That happened back when the sum of atmospheric, hydrospheric, and biospheric carbon was essentially constant. Warming temperatures shifted CO2 from the hyderopshere to the atmosphere, and vice versa. This also served as a positive feedback mechanism for temperature change from other causes, such as the Milankovitch cycles. Now that fossil fuel consumption is significant, and we are transfering large amounts of carbon from the lithosphere to the sum of the atmosphere, hydrosphere and biosphere (and most directly to the atmosphere), we are seeing the hydrosphere gain carbon from the atmosphere despite warming. My ThinkPads do not. There is a NumLk function (shift-ScrLk) to transform part of the keyboard, not worth it. Adding FN doesn’t help. Because what you missed was, you were giving M$ WinDoze sequences, which by default around here use “Western European” encoding known as Windows-1252, a “superset” of ISO-8859-1. I run Linux, with Unicode, specifically UTF-8 encoding. Thus I gave you the Unicode sequence for a “sensible computer”, asked if you modernized to UTF-8, and your M$ ALT sequences won’t work. Oh please, give it up already. “Bite the hand that feeds you” is the old cliché, well understood. You added the anti-human “Man is the only creature that” part which is clearly false. I called you on it. I was right. And feeding your entire line into Google has yielded “About 63,700,000 results” for which your use above is the third result for me, and the only one using the entire line without breaking it up into the “bites” part and the rest. Adding quotes to that line takes it to 1 result, this article. What you stated was NOT an old cliché, but your own new creation. And it is clearly false. That does make it YOUR problem, NMP. As for ASCII, it is universal, but not the ONLY encoding of characters. Indeed, in the early days there was EBCDIC (IBM) and ASCII (most everyone else). Windoze did not invent it. It was invented before Bill Gates knew what a computer was. Your ignorance of that fact is your downfall. @ Alan Watt… Did I see 308? Oh well, I can see why the report was rejected… “The half life of any carbon dioxide in the atmosphere as a gas is short, a matter of days rather than years. ” Whoa, Whoa… such heretic language!!!!!!! That’s not paraphrasing, not restating. That’s fundamentally expanding it from Man vs Dog to Man vs Everything Else. That’s your new creation. Own It. And it’s still grossly demonstrably WRONG. Wait, why bring up ASCII when I didn’t? I sense a “Look, a squirrel!” moment coming on. True ASCII was and is a US thing. The only thing “universal” was it and all its variations together. Other international standards bodies have ratified character encodings such as ISO/IEC 646 that are identical or nearly identical to ASCII, with extensions for characters outside the English alphabet and symbols used outside the United States, such as the symbol for the United Kingdom’s pound sterling (£). Almost every country needed an adapted version of ASCII, since ASCII suited the needs of only the USA and a few other countries. For example, Canada had its own version that supported French characters. Other adapted encodings include ISCII (India), VISCII (Vietnam), and YUSCII (Yugoslavia). Although these encodings are sometimes referred to as ASCII, true ASCII is defined strictly only by the ANSI standard. Bud, I’ve used terminals. I’ve long known about ASCII. I called it, you’re pulling a “Look, a squirrel!” You’ve added “I told you it had a black tipped tail, I was right!” when we weren’t talking about squirrels. You whipped out ASCII, incorrectly. I wasn’t ignorant of it, it won’t be my downfall. You are still wrong. I gave you a Linux sequence, you didn’t recognize it, and gave me M$ Windoze-specific sequences, which don’t work on Linux. Got some more decoys or distractions? Your last ones were weak and easily disregarded. Kadaka – you did indeed bring up ASCII (calling it a Windoze manifestation). It was ‘universal’ in the respect that all computers used it (of course non-american ones would have their own). You love to pick nits that are irrelevant. We were talking about computers – NOT nations. I guess you missed that as well. And your statement is nowhere in the quote or paraphrase that I used. So give it up. YOu are trying the squirrel routine. I just called you on it. I did use the word “only”. However there is nothing in Twain’s quote that indicates it is not true. Hence the “paraphrase”. You already expressed ignorance over the quote. I doubt you have grasped the meaning of it yet. Keep digging. I am sure you will get to China eventually. Tailor made, don’t you think? Actually the same group sponsored both – the leeches. Kadaka – you did indeed bring up ASCII (calling it a Windoze manifestation). June 18, 2014 at 11:56 am – YOU bring up ASCII in YOUR POST. That’s the first occurrence, from you, not me. Oh wow. It was painful enough watching you wriggle, but now you put out an outright mistruth that’s so easily disproved. I did use the word “only”. However there is nothing in Twain’s quote that indicates it is not true. Hence the “paraphrase”. You already expressed ignorance over the quote. You fail at logic. You dig up an obscure Mark Twain quote and claim you have paraphrased, which resulted in a manifestly obviously untrue line which just happened to contain the same wording of an ancient well-known cliché completely accidentally. This is over. And now as the hero does on Japanese-derived Saturday morning action shows, I turn my back to you, confident I have delivered the death blow, as you grimace, gasp, and crumple to the ground. Sayonara. It is not a “WINDOZE sequence. I then pointed out that ASCII is a universal language, and you then tried to turn it into a discussion on foreign languages – which had been nowhere in the discussion previously. So you lied again. I then quoted the Twain quote that I had paraphrased. Obscure? Are you ESL? Perhaps that is my problem – not understanding that your English is poor. it is not an “obscure” Twain quote. It is a very famous one. But you seem to have an aversion to facts. Instead relying on – look a squirrel! – misdirection. And every time I bring you back you have to lie again (as you did here). Thank you, but I have a degree in math. I expect I know more about the subject than you ever will. The quote and paraphrase are not math. Even English majors will tell you that (oops! Excuse me! I forgot you are ESL). Turn your back, please! Your ignorance and obstinance is becoming boring. The right way would be to admit you picked a fight in error. The cowards way is to merely slink off in defeat hoping no one will see you go. I can’t disagree with a word of your reply. I betcha his career plateaued for some time, or permanently, after the conference. However that is not bringing it up. That is merely sourcing my statement. So you lied about that. Must I invoke Eschenbach rules and chew you out mightily for calling me a liar without ANY substantiation? THEY ARE NOT THE SAME DATE. Therefore, you are backing up your accusation of lying with a date I didn’t use. And you did give me ALT sequences which are for M$ Windoze, not Linux, thus again I did not lie. That you also tossed out an ASCII table doesn’t change that. Besides, Ctrl-Shift-u codes use hexadecimal, and the “Extended ASCII Codes” at the link you gave are decimal only, thus are still not usable for me beyond the standard ASCII codes. And the rest of comment is excessive personal attacks. Thus it’s easily shown you have lied about me lying. You are delving deep into the personal attacks. You have lost, and have further discredited yourself. And despite your degree in math and your familiarity with literature, with your aspirations to greater eliteness as you look down upon those who have read other things than what you prefer, you’ve revealed the true self you concealed beneath your scholarly demeanor. Thankfully, you have to live with yourself, I do not. Good bye. You are not nearly as good as Willis, so stop pretending. You lied. And I gave you the ASCII CODES (the table does not talk about ALT sequences). I will say that is just plain ignorance on your part. Linux has an ALT key (I gather you missed that on your keyboard). As I clearly stated, the “ALT” trick worked before Windoze was a gleam in Gate’s eye. And it does work in some version of Linux (but since I have not tried them all, I cannot say all). it depends upon the EDITOR. Which surprisingly enough does not RELY on Windoze! You are merely proving you are a liar and a bad one by now trying to shift the goal posts once again. You were ignorant of the original quote from Twain that I paraphrased. You are ignorant of the ASCII codes, you tried to ignore the fact we were talking computers, NOT nations. Give it a break. As I said, at your rate, you will reach China before long. Good thing I checked back at this post. I didn’t think the perfidy of “philjourdan” could be so great as to wait THREE DAYS to sneak in a lying deceitful slimy last word so I finally closed the tab. And now, oh look, he did try to wait me out like a sniveling coward. I first used “WinDoze” here on June 18, 2014 at 9:11 am. No ASCII was mentioned. However you mentioned ASCII in the very next comment on June 18, 2014 at 11:56 am. Just as I noted in the list. That you bring up Willis is quite curious. Then they list three Ctrl-Shift-u methods. Ah hell, Wikipedia refutes you in under five seconds, I just Googled for “alt sequence in linux”. Can’t you verify before you spew? You’re cute when you’re trying to be indignant. Your obscure Twain quote did not use “hand”, but the old cliché does, and so does your new creation. You incorporated the old cliché into it rather than paraphrased the old Samuel Langhorne Clemens line, as has been proven beyond a reasonable doubt. Seeing as you are a craven lying backstabber, I can understand why you’re in a hurry for me to turn away again. Aw, you’re one of the three remaining people who think if you dig straight down in the US you’ll hit China, rather than come out in the South Hemisphere. That is so quaint! Never mind sweetie, I see what you’re doing. I searched for your handle with “wuwt willis eschenbach” and found cutesy comments like this one. You’re trying to get him to notice you, you have for years, mixing a bit of wit with some sarcasm. I’d hate to tell you this but you already know whether you admit it or not, your pick-up technique just ain’t working on Willis, he’s not interested in interacting with you, you’ll never get in his pants. So you’re taking out your frustrations on the ugly tag-along you see as competition since he’s smarter and wittier than you, whether you admit it or not. You made it soooo obvious with your girly ‘You’ll never be good enough for him so stop trying!’ squeal. Now when I “hear” your words it sounds like something on Modern Family. So, you want to dance with me? Do you really? Come on, do you feel lucky? @ mod – no it is not, and I apologize for allowing my indignation over the filth that kadaka has been spewing to get the better of my emotions. I only ask you look at his latest litany of ad hominems and lies to see if that should indeed stand as a comment or not. I have no clue of his problem, but he seems to have taken a disliking to me. FWIW, I know anything past three URLs will automatically trigger “awaiting moderation” and mod attention, so I deliberately loaded my comment with unneeded in-thread links. Yup, I submitted my comment for review. I didn’t want the management to feel waylaid by the content later, so I made sure to give someone a heads-up. And philjourdan, your passive-aggressive routine, with the ‘I have no idea why he doesn’t like me’ after what you said, really is not helping me “hear” you as anything other than the shrilly catty stereotype, although celebrities like Perez Hilton and shows like Modern Family do their best to indicate it’s not all that uncommon, and not all that far off the mark. Besides, aside from your libelous comments here, what would you have to be embarrassed about? Give it up kadaka. The Mods have spoken. Take your obsession elsewhere. And try reading Twain. Your lies are well documented. Give it up kadaka. The Mods have spoken. I only ask you look at his latest litany of ad hominems and lies to see if that should indeed stand as a comment or not. My comment still stands. The mods have indeed spoken loudly. I may have been exposed to “Adventures of Tom Sawyer” when younger. Nowadays our public schools prefer to protect children from such racist misogynist trash. Your lies are well documented. Sweetie, the non-lies are very well documented above, your smear campaign was soundly refuted. You were slapped down. You’re still cute when you’re trying to be indignant. Going by the time and date stamps, I’d guess you post at work on the Left coast and don’t have internet access otherwise. Better make sure the management doesn’t mind, beautiful.